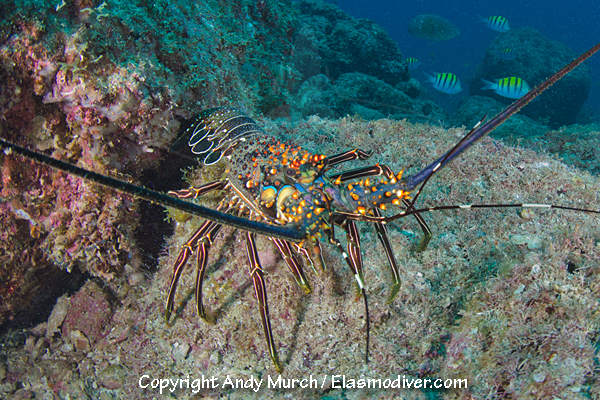 COMMON NAMES: Pinto spiny lobster, blue spiny lobster. 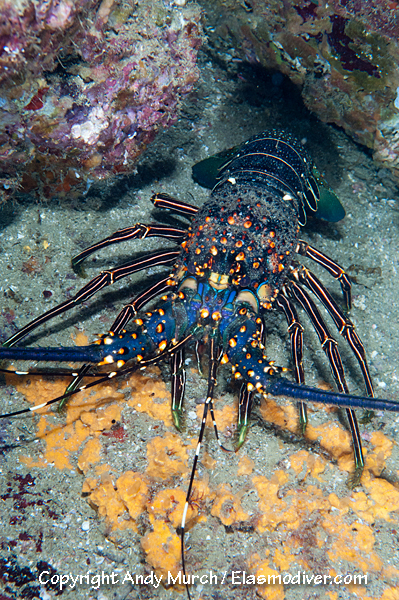 DESCRIPTION: The pinto or blue spiny lobster has blue antennae with small orange/yellow tipped spines near their bases. 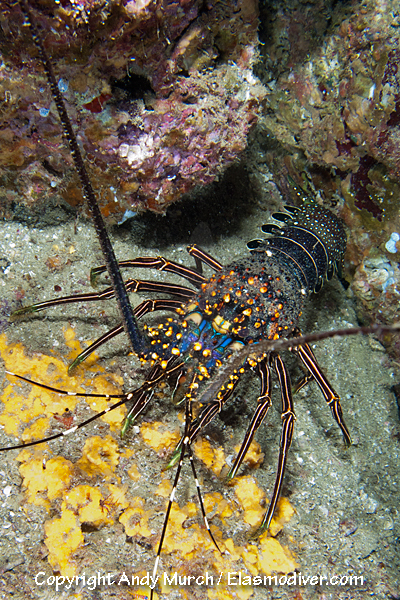 The indo-pacific blue spiny lobster Panulirus versicolor has very pale antennae. RANGE: Eastern Pacific. Sea of Cortez south to Oaxaca. 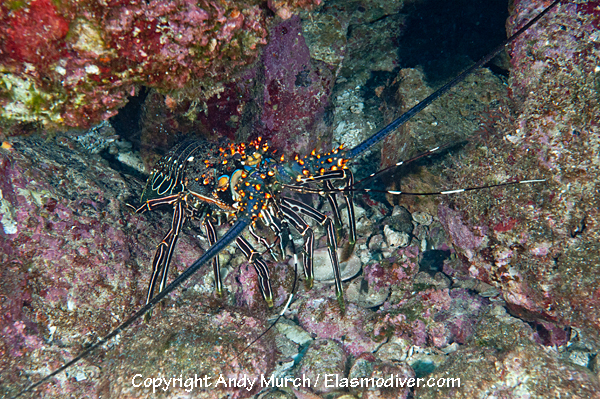 All of the lobster images on elasmodiver.com are copyright protected. 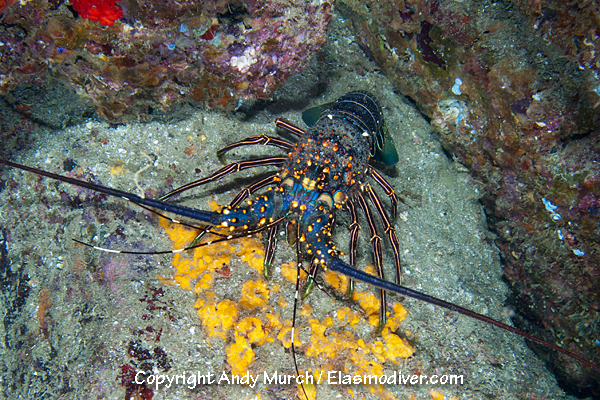 No unauthorized use of these Pinto Spiny Lobster pictures is permitted. Please contact Elasmodiver for further information.